Europe’s Refugee Crisis of 2015 has brought migration issues to the center of attention of policymakers, (social) media, academic research. Even so, migration has been shaping human history incessantly. A distinguishing trait of migration is the complexity of causes and consequences of migration and its multi-faceted character. This LCIS Conference on Migration wants to explore the many different ways in which migration shapes our past, current and future. The conference aims to bring together high-quality research that is studying migration from economic, social, psychological, cultural and political perspectives. Inter- and multi-disciplinary approaches and policy-oriented contributions are particularly welcomed. An Irish and European perspective is preferred. Aim of the workshop is to promote networking and future joint research cooperation in migration research. Research questions may relate to theoretical, empirical and policy perspectives. Contributions may deal with questions such as: What are the drivers of migration? What are the effects of migration? To which extent is migration compatible with the Welfare State? What are the effects of migration policies and is there need for a European migration policy? Are there increasing links between diasporas, migration flows and remittances flows in the globalising world economy? Is it important to disentangle legal and illegal migration, forced and voluntary migration and low and highly skilled migrants? What hinders the integration of new migrants in Europe? Does migration reduce or increase social inequality? How do persons experience migration and what is the role of cultural/religious beliefs and practices in dealing with various challenges of migration? How can various academic disciplines contribute to improved research and practices on migration? We welcome papers that address these questions and topics by case studies, theoretical, empirical or historical explorations as well as in different literary traditions. A one-page outline of the paper (or a full paper) should be sent to the organizers at lcis.migrationworkshop@outlook.com by the 15th of August. This email address can also be used for any further inquiry about the workshop. Acceptances of workshop papers will be communicated by email at the end of July. It is intended to publish the final versions of the workshop papers in book form or a special journal issue. 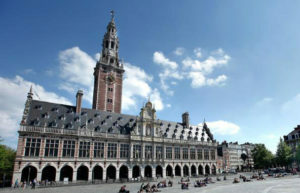 The conference will take place in the Leuven Institute for Ireland in Europe, (http://www.leuveninstitute.eu/site/index.php), Irish College, Janseniusstraat 1, 3000 Leuven, Belgium, tel. + 32 16 310 430). This link explains how to get to the Irish College. Registration fee: There will be a registration fee of 30€ to be paid at the registration desk at the day of the workshop. The fee covers the costs of participation, lunches, conference materials. Participants are expected to make and cover their own travel and accommodation costs. One accommodation option: The Irish College manages a limited number of bedrooms at an attractive price, contact the reception for availability.